The R&H Theatre Library was built by musical theatre giants: Rodgers & Hammerstein, joined by Rodgers & Hart, Kern & Hammerstein, Irving Berlin, Kurt Weill, Bock & Harnick and Andrew Lloyd Webber among others. While nurturing the classics, the Theatre Library remains on the lookout for new voices as well. 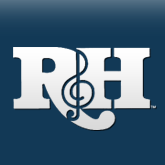 In the past year, R&H has acquired rights to WIND IN THE WILLOWS, nominated for 1986 Tony Awards for Best Book, Music and Lyrics; TOUCH OF THE CHILD, Max Showalter's stirring musical detailing the birth of Christ; FOOTLOOSE, the stage adaptation of the explosive 1984 movie musical featuring a rousing Oscar winning rock 'n' roll score (more on FOOTLOOSE in our next issue); and WINGS, Jeffrey Lunden and Arthur Perlman's award - winning musical based on Arthur Kopit's Broadway play of the same title. Even for a genre that continually pushes the boundaries of subject matter, WINGS is uncommon fare for the musical theatre. While the authors have expanded the play's mono - drama format to include others in the cast, it remains a tour de force for an extraordinary (and fortunate) actress. The score, too, is a breathtaking departure from the norm, capturing in stylized surrealism the mind's inner workings and internal voices. WINGS is a soaring and lyrical musical meditation on life, death, memory and expression. In her adventurous youth, Emily was a barnstorming aviatrix who fearlessly walked on the wings of the family biplane. Just as she once plummeted dizzyingly through space, she is now falling through inner space as the result of a stroke. As in the Kopit original, but now enhanced by a haunting and emotional score, WINGS takes us inside Emily's mind as this gallant woman gropes her way toward the cave of memory, desperate to escape the scrambled words and short - circuited thoughts that hold her captive. With breathtaking simplicity, WINGS charts Emily's hesitant recovery as she begins regaining bits and pieces of vocabulary to add to her reawakened emotions, accompanied by the hospital staff and fellow patients who guide her tenuous return to the world of language and human connection. When a relapse hurls her back into the void, this time to face death, Emily's haunting yet eerily ecstatic vision of her own mortality is itself a reflection of the grand burst of theatrical imagination that has taken place onstage. In this musical's exultant view, Emily has merely taken flight once again, the curiosity and bravery that prompted her girlish exploits in the sky having seized her anew. WINGS had its world premiere at The Goodman Theatre in Chicago in 1992 to overwhelming acclaim. The musical won three of Chicago's prestigious Joseph Jefferson Awards including Best New Work, and was cited as one of the 10 Best Plays of 1992 - 93. The New York production opened the following season at The Joseph Papp Public Theatre, again causing a sensation. "Here is a musical that matters deeply," declared David Richards in the New York Times, "a triumph that elevates an audience to a rarefied realm where the weight of existence melts away and grace actually seems within touching distance."" In Variety, Jeremy Gerard called WINGS "...A miracle for everyone involved...a moving, pristine chamber musical." The production earned the Lucille Lortel Award for Best Off - Broadway Musical of the 1993 - 94 season, and was honored with two Obie Awards and seven Drama Desk nominations. Lunden and Perlman are the 1994 recipients of the Gilman & Gonzalez - Falla Theatre Foundation Musical Theatre Award and are currently working on a musical adaptation of A MIDSUMMER NIGHT'S DREAM for The Goodman Theatre. When WINGS opened in New York, Michael Kuchwara of Associated Press proclaimed, "An astonishing reaffirmation of the human spirit has arrived!" We are duly proud that WINGS has arrived at The R&H Theatre Library, and look forward to its flight during many seasons to come. WINGS is performed in one act with a cast of four women and three men (one man and one woman can double for a total cast of five.) It is orchestrated for two keyboards, reeds, cello and percussion. As always, The R&H Theatre Library is pleased to provide perusal copies of the script and tapes of the score. 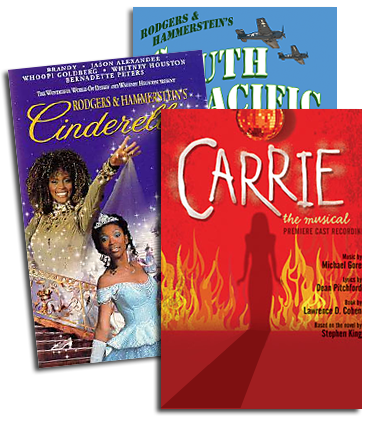 Contact The R&H Theatre Library at 229 West 28th Street, 11th floor, New York, NY 10001. Phone: (212)564 - 4000; Fax: (212)268 - 1245.